There are endless choices to be made in the world of color, as anyone who has tried to paint a room plain white knows. Even more variation is introduced when materials, use, and application are all considered, as illustrated by the work shown here by five designers who were asked to show how they’re currently using color. 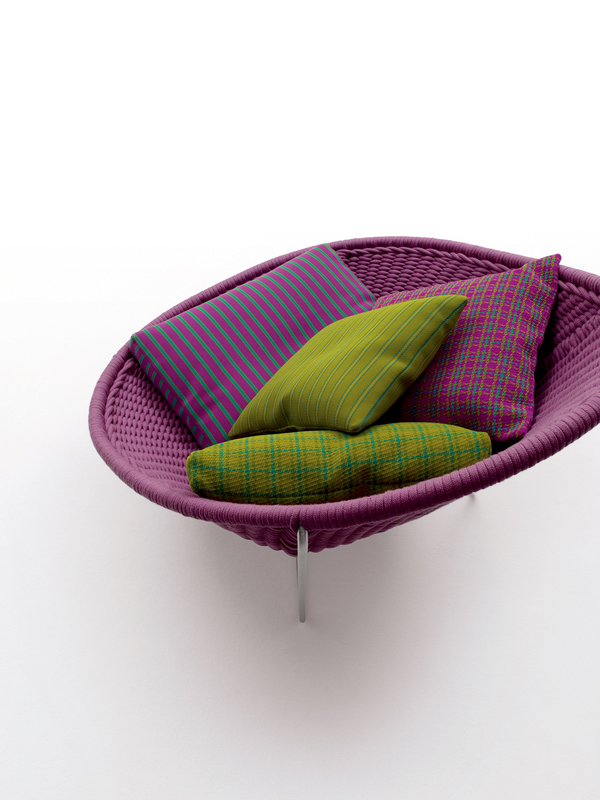 Paola Lenti / Furniture Italian designer Paola Lenti’s color sensibilities can be seen in her selection of the Nido armchair designed by Patricia Urquiola and Eliana Gerotto and filled with cushions covered in Lenti’s signature Bliss fabric. Alpana Bawa / Textiles Tired of the monochromatic palette favored by most New Yorkers, clothing and home accessories designer Alpana Bawa is attempting to bring color to her adopted home, inspired by the hues of her native India. Jean Orlebeke / Paper Geometric designs and bold colors—often veering toward psychedelic—mark the papers designed by Jean Orlebeke for eiei-o studio. Denyse Schmidt / Quilts Denyse Schmidt creates small fabric mosaics the way most of us jot down notes—as inspirations for her intricately designed quilts.